Most everyone knows that washing your hands is one of the best ways to prevent germs, but it turns out one of the most popular methods of drying afterward may be harming more than it is helping. A recent study shows that hot air hand dryers may be harboring a significant amount of bacteria. There’s no denying that public bathrooms are a dirty place. With so many people moving in and out during the course of a day, there’s a significant amount of bacteria. It turns out that our best efforts to eliminate germs may actually be contributing to the problem, however, with these hot air hand dryers spreading a significant amount of germs right after you’ve washed your hands. The use of hot air hand dryers has become more and more popular as time goes on, with recent inventions like the Dyson AirBlade adding a convenient and green way to dry your hands that doesn’t create nearly as much waste as using paper towels. It appears as if we may have to choose between saving the environment and saving ourselves, however, due to the fact that these eco-friendly dryers are spreading bacteria when they dry. It may seem like the main way in which these hot air hand dryers accumulate germs is through people not washing their hands well enough, but the actual reason is a little more surprising. When people flush the toilet, the germs moving into the air are actually sucked up by the hot air hand dryers – causing these drying mechanisms to harbor a huge amount of bacteria that could potentially get people sick. Researchers published their findings in the journal Applied and Environmental Microbiology, but assured users that the risk of getting sick from hot air hand dryers is relatively low – outside of a few specific circumstances. “In most cases, patients sickened by these bacteria had a vulnerability to infection because of immunodeficiency, chronic disease, or IV drug use,” they wrote. So if you’re healthy and want to keep doing your part to save the environment, it may make sense to continue using hot air hand dryers despite the fact that they harbor bacteria. However, if you have any health issues that may make you susceptible to illness, you’ll be far better off opting for paper towels – or even just wiping your hands on your pants if paper towels aren’t available. 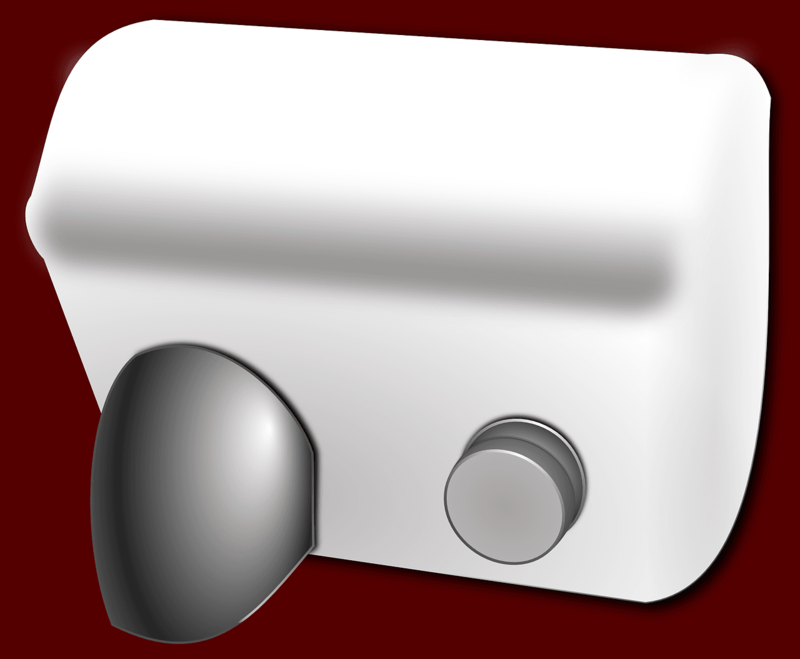 The lack of availability of paper towels is becoming more and more common, and while many view forcing people to use a hand dryer as a minor inconvenience that has massive payoffs in terms of energy savings and conserving resources, the lack of an ability to keep dryers completely clean may be more of a problem than we think. It’s an interesting dilemma that may cause more public areas to revisit the choice of hot air hand dryers moving forward. While the average person will likely not be affected by using these apparatuses, it does pose a non-inconsequential threat to those with compromised immune systems – whether through chronic illness or even a minor cold. More research into public hygiene may be necessary to come up with a solution to this issue, as the study simply states facts rather than offering a potential solution. Perhaps through technological innovation we can arrive at hot air hand dryers that don’t absorb so many germs, but until that point it might be a better idea to opt for the paper towels. The research study was published in the April 2018 edition of Applied and Environmental Microbiology.